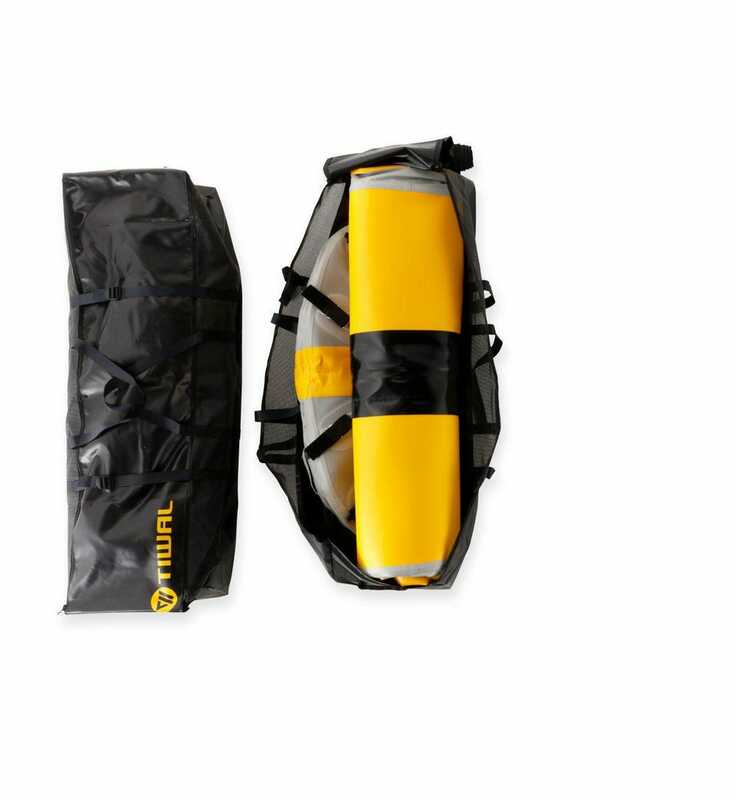 Available now at the MoMA Design Store, the TIWAL 3 inflatable sailing dinghy can be packed into two bags for easy transport and storage and assembled in less than 30 minutes. Retailing for $6,195, it’s a much more affordable option than a standard (non-inflatable) sailboat. According to the financial blog mintlife, the cost of a 22-foot-long model would average $20,000. That’s in addition to the mooring costs, which depending on location and footage can run anywhere from several hundred annually up to a thousand dollars per month. Behind that challenge was a more personal story: When Excoffon turned 18, she was forbidden to use the family cruising sailboat by herself. Not one to take no for an answer, she promised she would build her own boat. 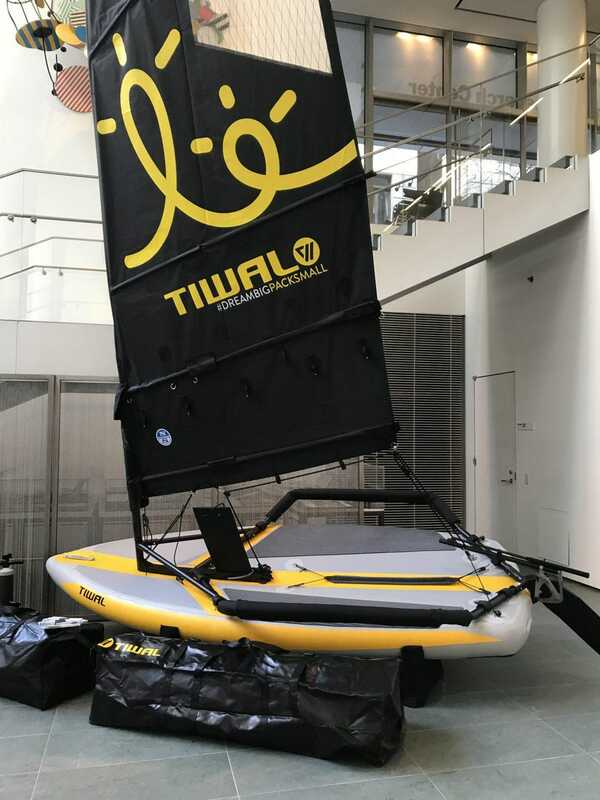 Tiwal is the first industrialized project by Excoffon, who is a graduate from ENSCI – Les Ateliers, a prestigious design school in Paris. The entire sailboat fits in these two bags. This article originally appeared on Forbes.com. Images courtesy of Tiwal except where noted.